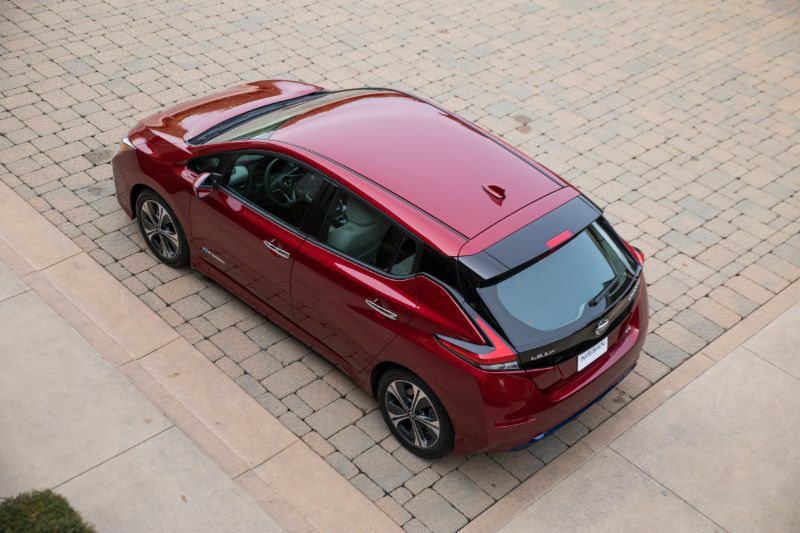 The 2018 Nissan Leaf was fully redesigned, getting new styling, more driver-assistive features, more power, and a larger-capacity battery. The Leaf remains a top-selling electric vehicle. For the 2018 model year, it is available in your choice of three trim levels. 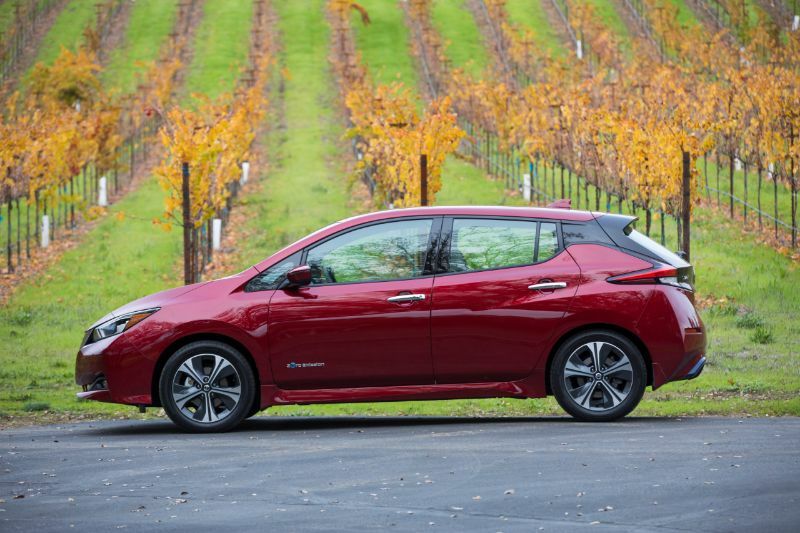 Looking at the 2018 Nissan Leaf shows you that electric vehicles no longer need to be boring. This generation no longer features the bug-eyed front lights and curvaceous shape of the previous models. Now, the only indication that this is an EV comes via the wide charge-port door in the front. Other than this, it has clear influences from other Nissan models, including the deep V-shaped grille panel, chevron-shaped taillights, and floating roof. The second generation of the Nissan Leaf is certainly more powerful than the previous model years. It produces 110 kilowatts, which translates into 147 horsepower, along with 236 pound-feet of torque. 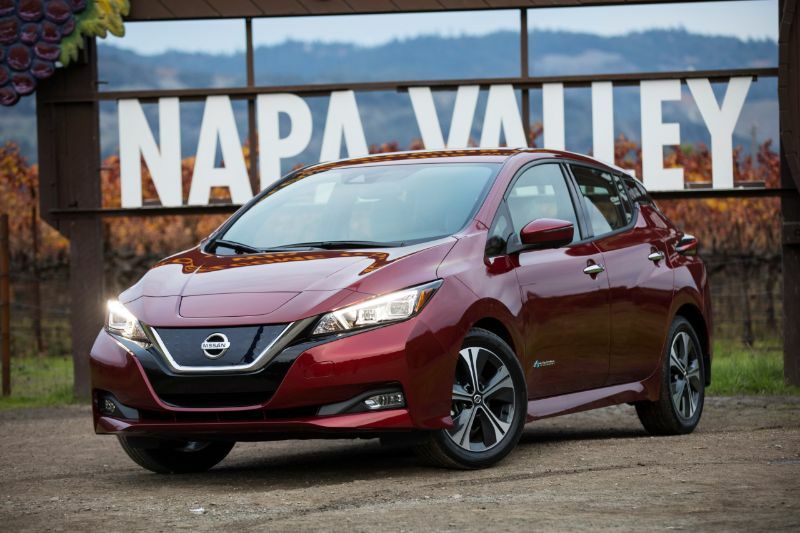 Compare this to the 2017 Leaf’s 80 kilowatts (107 horsepower) and 187 pound-feet. The Leaf gets its power from a 40-kilowatt-hour lithium-ion battery pack that takes up the same amount of space as the very first battery pack found in this auto back in 2011. The onboard charger is 6.6 kilowatts. The available DC fast charging with 50 kilowatts makes it possible to charge the battery to 80 percent in around 40 minutes. A full recharge with a conventional outlet takes 16 hours. However, it takes 8 hours with a 240-volt Level 2 charger. In terms of driving, the Leaf has e-Pedal as standard, letting drivers take advantage of driving with just one pedal. 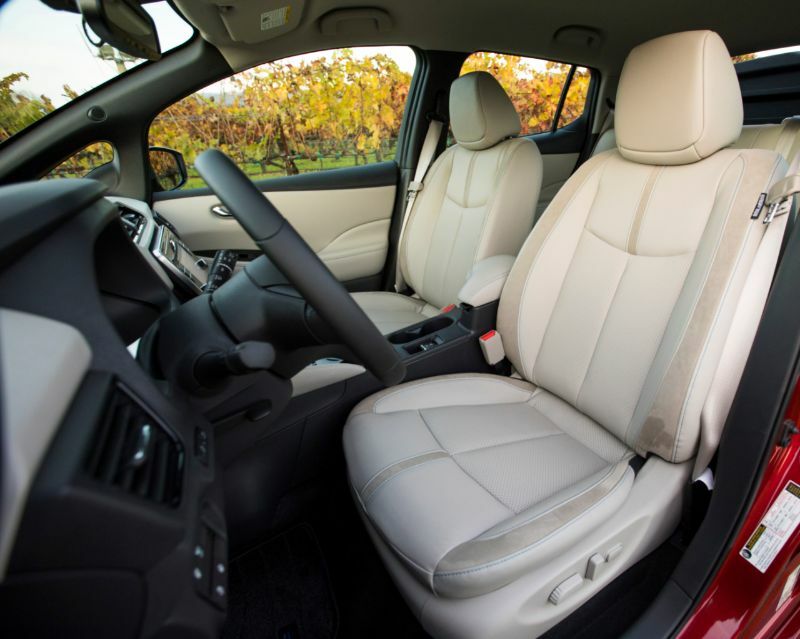 The fully updated interior of the 2018 Leaf makes it more pleasant and more conventional. Soft-touch materials and nicer surfaces replaced the hard plastic of the previous model. For a high-end feel, there is blue stitching on the top of the auto’s instrument panel, steering wheel, and seats. Those who own the Leaf will let you know that it remains comfortable on long drives, which is supplemented by a quiet cabin. The front seats have more than enough shoulder room and headroom. Thanks to the battery’s placement underneath the floor, the seat height makes getting in and out simple. The rear seat has slightly thinner padding since it sits on part of the battery. The backrest in the rear seats is also reclined a bit more than some people will like. You can easily accommodate four adults in the Leaf if you wish. There is also a new hatchback with a competitive load bay. All Leaf models come with Bluetooth, a USB port, and at least a 5-inch display, although many drivers choose to upgrade to the mid-range or top trim to get the 7-inch touchscreen with Apple CarPlay and Android Auto. Nissan loaded the 2018 Leaf with plenty of safety features, including standard forward-collision warning, automatic emergency braking, and a rearview camera. You can configure the Leaf with pedestrian detection, rear cross-traffic alert, blind-spot monitors, and active lane control. The Leaf also features ProPilot Assist, a highly advanced version of cruise control from Nissan that combines adaptive cruise control with active lane control to keep the auto centered.